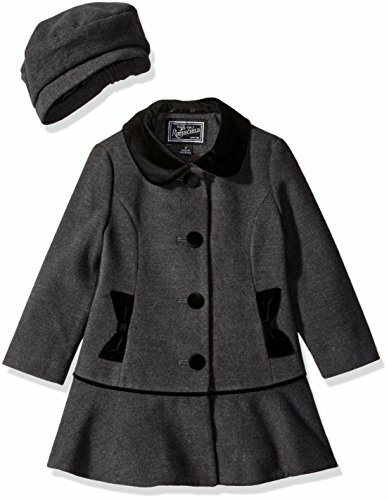 Classic girls swing faux wool with beautiful velveteen bow pockets and collar. Has a fit and flare shape and a pretty ruffle bottom. Shipped with a matching beret.